Measuring the intensity of high-power lasers used by manufacturers for precision cutting and welding can be difficult due to large instrumentation challenges and time-consuming calibrations. To overcome these challenges, NIST scientists invented a radically new method of measuring laser intensity using the force of the laser beam’s photons. 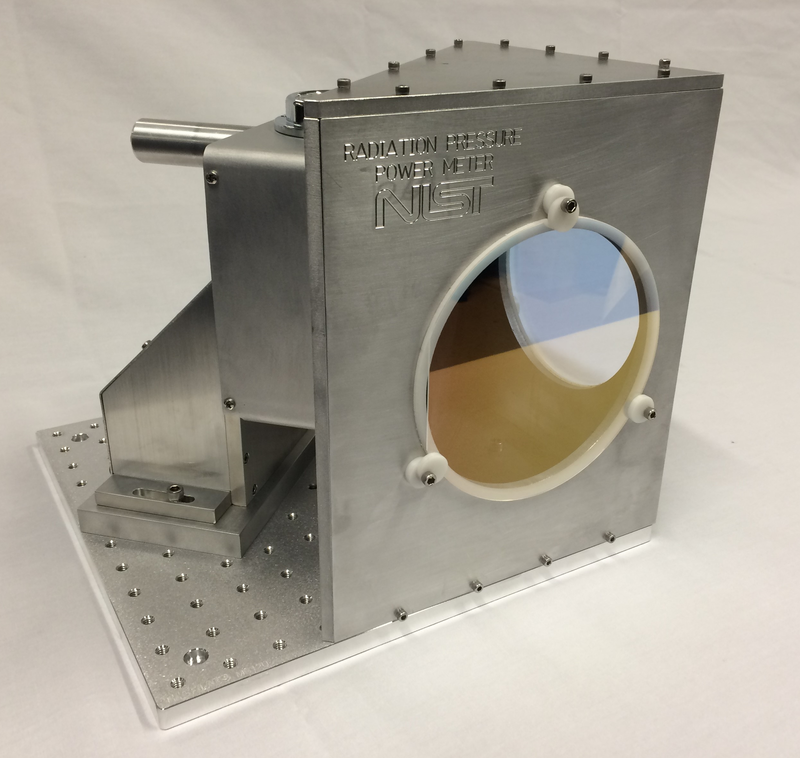 NIST researchers have partnered with Scientech Inc., a U.S. manufacturer of analytical instruments, to develop a device that can test the power of high-power laser beams during use. The Radiation Pressure Power Meter (RPPM) measures the optical power output from a laser in real time by measuring the amount of force imparted on its mirrors by the beam’s photons. For the first time, industry has access to a device that can be easily deployed for high-accuracy measurements of high-powered lasers during operation. The invention has received a 2017 R&D 100 Award. High-power lasers—lasers that produce light 100 million times as powerful as a typical laser pointer—are strong enough to melt steel. Many industries use high-power lasers to precisely cut and weld metals for a range of applications, from manufacturing cars and cell phones to ships, planes and medical devices. Accurate measurement of laser power output is important to quality and precision, but difficult to achieve. Instruments that can support high-power measurements are large and require significant operating infrastructure. They also employ traditional measurement techniques that require the user to alternate between application and measurement, leading to inconsistencies. For years, NIST has been developing a method to accurately gauge the power of high-kilowatt lasers by measuring the pressure of their light. Scientech has now commercialized the device. Capable of measuring laser power as high as 500 kilowatts with well-quantified measurement uncertainty, the new RPPM allows faster measurements, simplifies power scalability, and allows high-accuracy measurements to be made during laser operation.